Courtesy of Icon Realty, Ruth Tellez. WOW- Custom Built home featuring custom lighting,and fixtures thur-out home. Plenty of natural lighting, granite thur out home. Come and enjoy the BEAUTIFUL ARCHITECT the home features,high ceilings crown molding,custom design in kitchen/dinning (ceiling). Enjoy the Huge backyard homes sits on .081 acres , built in gazebo. NO HOA FEES.easy access to hwy 87,410 1604 Your won’t be disappointed. 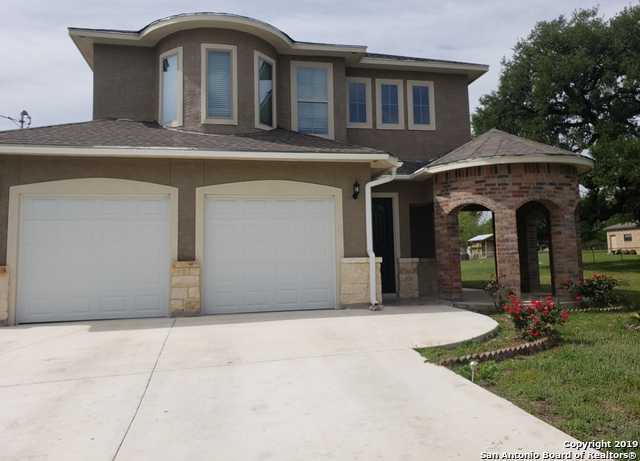 Please, send me more information on this property: MLS# 1377110 – $359,999 – 7606 Triple Leaf, China Grove, TX 78263. I would like to schedule a private showing for this property: MLS# 1377110 – $359,999 – 7606 Triple Leaf, China Grove, TX 78263.